Don't look back, keep pressing on and learn to pick up the pace! When one thinks of nonprofits, one might think of just jumping right in. That may or may not be true. Starting a nonprofit involves investigating and getting help from other individuals with knowledge in this field. There is the incorporation process which has to be accepted by your state. The Grace House is one of those non profits. This process involves pressing on. The dream came though the concept of "caught fish." In Shreveport/Bossier Louisiana there are over 1,000 homeless people on the streets:living in abandon buildings and sleeping outdoors. Many of these people according to Orton Brooks, are veterans. My higher power leads me to believe that everybody deserves a roof over their heads. Every woman, man, boy or girl living deserves this. Perhaps, you have the heart to help, but like many don't have the resources. So as a result, you do nothing. Through the struggles of the Director at Grace Community Outreach Ministries and many others our nonprofit was founded. The Director discovered in her journey, that there are many organizations out there willing to help. "What one can't do alone, together we can." 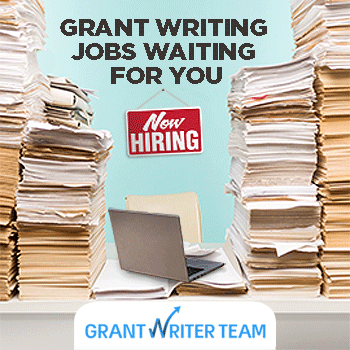 I have learned that there are links to help with enriching one's knowledge of grant writing, fundraising, and other tools that assist with this goal. One of the first problems I endured was learning to use the computer, being an ex-addict, homeless person. This as you would imagine wasn't my first handed goal. I roamed the streets seeking drugs and alcohol. Later returning to college, and getting my degree. I had no idea where to go from there. But the puzzles soon began to fit in place. I struggled as many did to learn and often wanted to give up. I worked and was like any one of you with a heart to do something to help mankind. I cried, I laughed and often wanted to give up. Each time when the donations didn't come in, the money wasn't there, I wanted to turn back. Something in me kept saying, "Don't look back, keep pressing on!" Even as I write this now, I know that I've got to pick up the pace. It's not over as long as you have breath. And believe it or not I know angels have been placed out there to help me and you. Homelessness is a national issue and the stories are heartbreaking to read but even harder by those who had to endure them. One of the major stories written about those who are homeless came from critically acclaimed author Jonathan Krozol. His book, Rachel and Her Children: Homeless Families in America tells stories of men, women, and children who are caught in the nightmare of homelessness. With record numbers flooding into shelters, these stories are important to understand. We must be servants to help somebody, and we can. We must stop just being all about "me people" and give to nonprofits, give to your neighbors, help somebody in your passing. Some might say that "Grace House", only houses homeless women and children. We also have a safe haven for men. These people have mental illness, physical and some are fleeing from domestic violence and nobody to help them. That's where I come in and you. You might say I only have ten dollars, that's all you can spare, then spare it. Its the heart that matters!